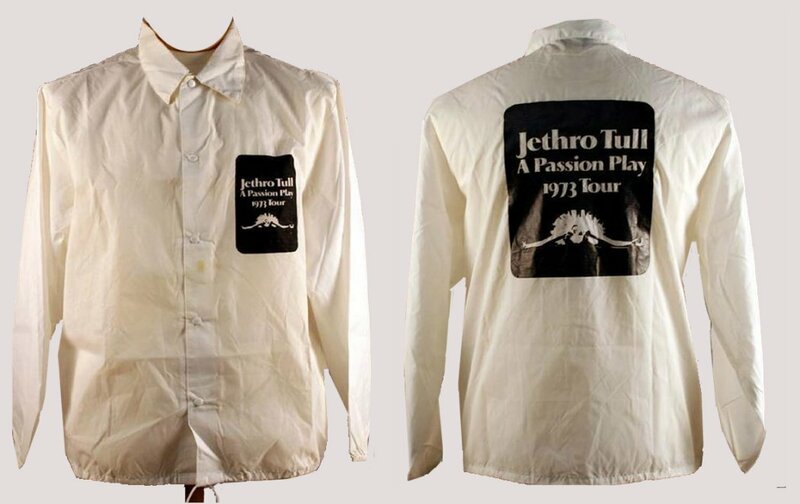 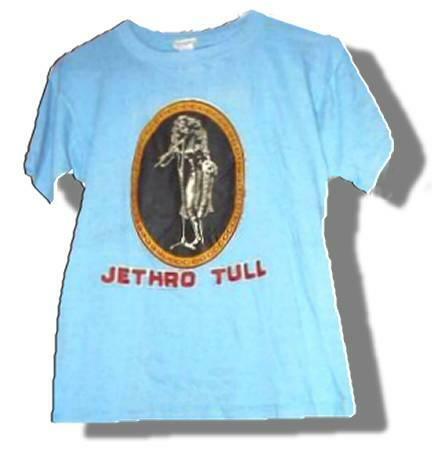 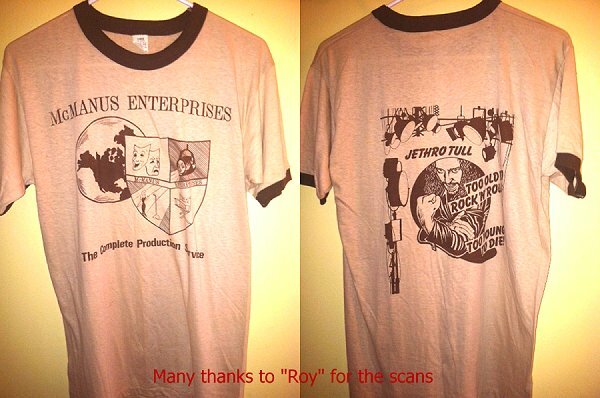 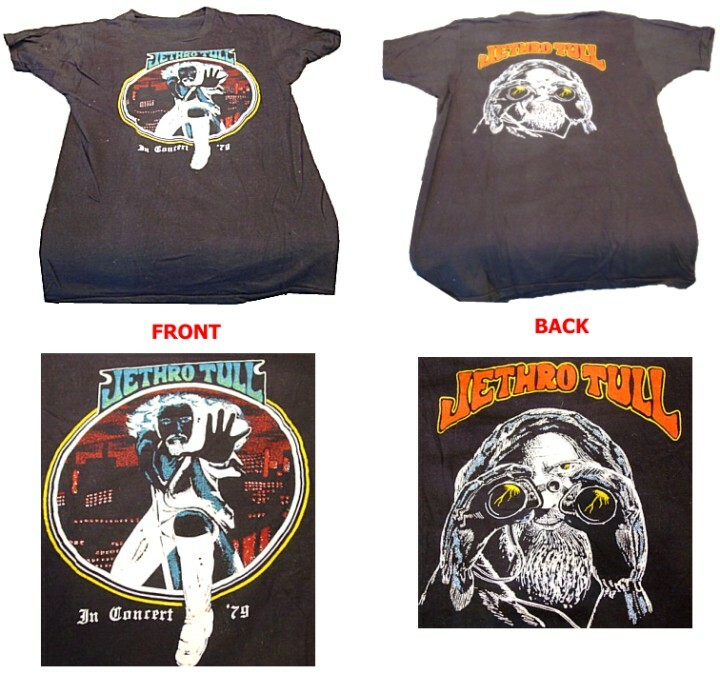 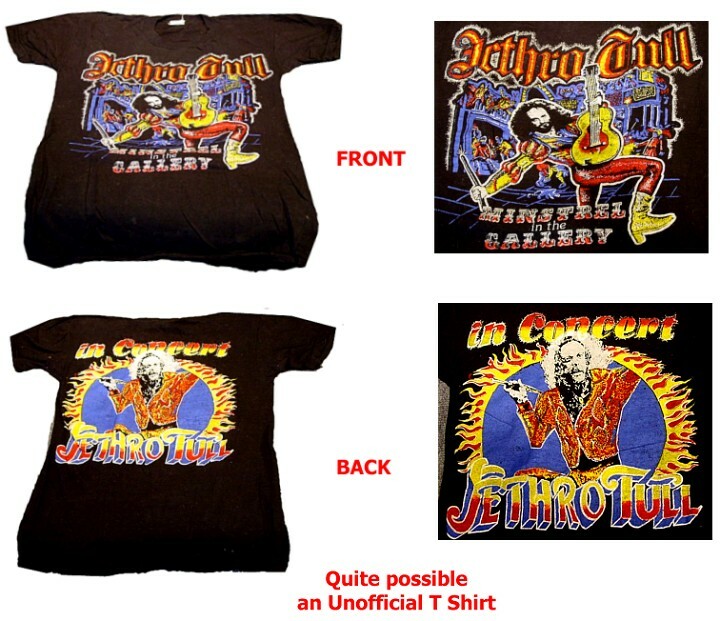 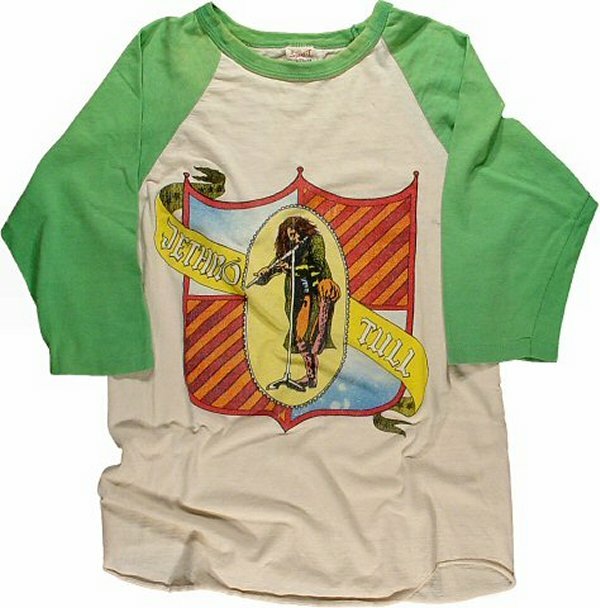 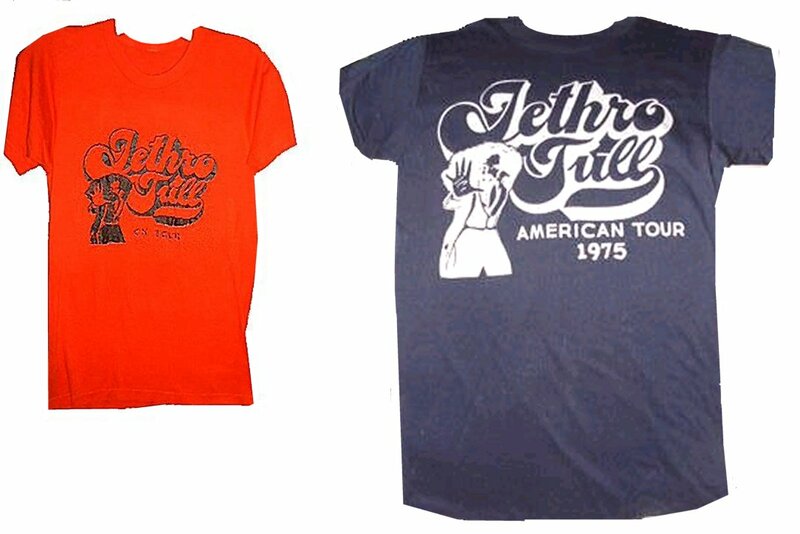 1969 The First JETHRO TULL T Shirt. 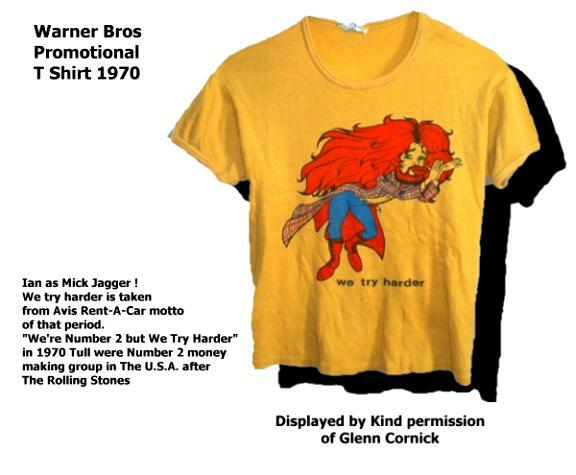 1970 U.S.A. Warner Bros Promo T Shirt. 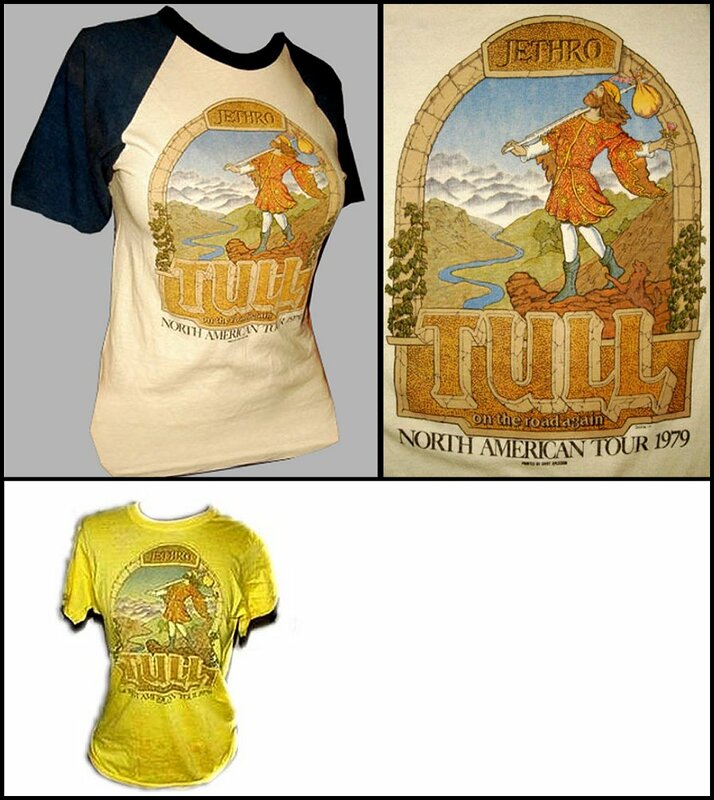 1971 U.S.A. AQUALUNG T Shirt. 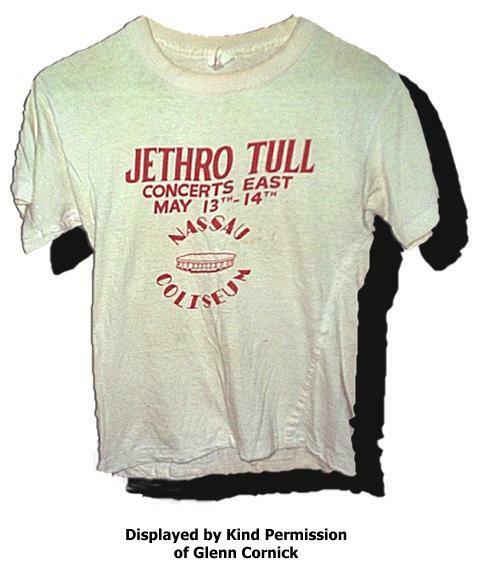 1972 U.S.A. NASSAU COLISEUM NY. 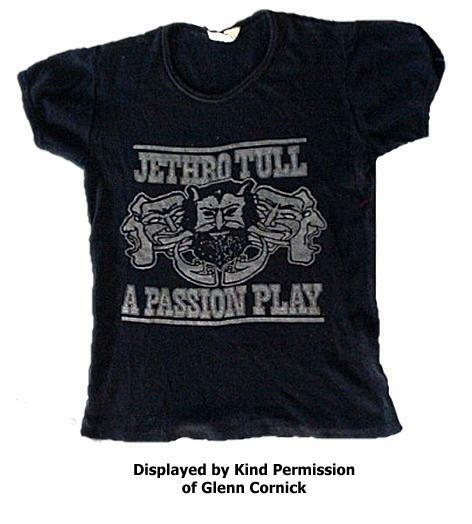 13th - 14th of May 1972 T Shirt. 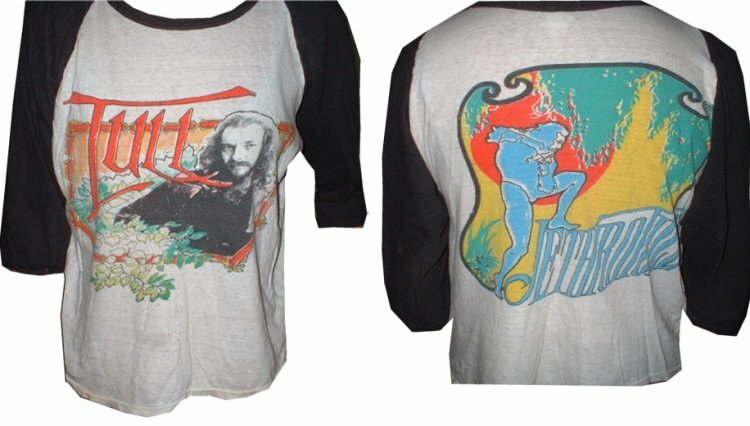 1972 U.S.A. LITP Logo T Shirt (Just guessing at 1972 I'm Afraid). 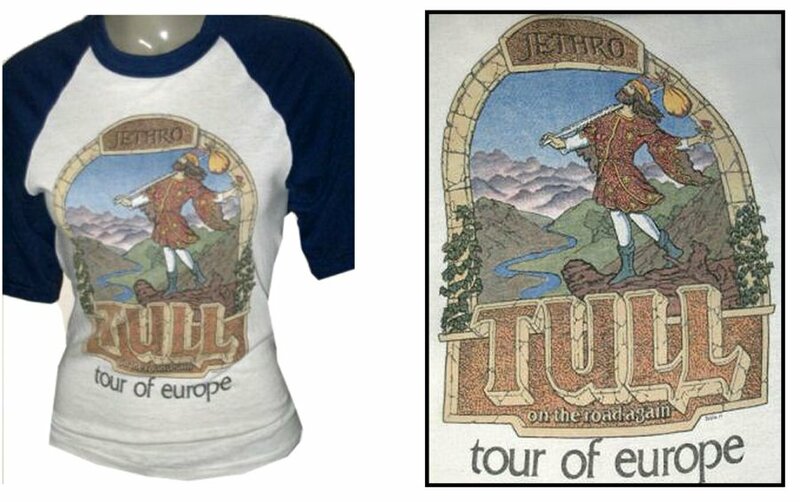 1972 U.S.A. LITP Logo T Shirt (Just guessing at 1972 - Different To Above). 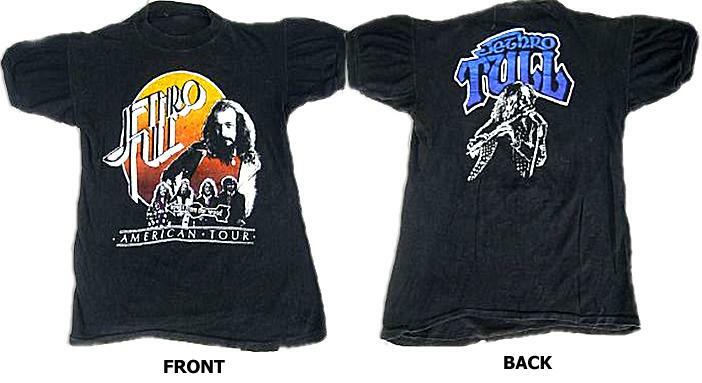 1975 1975 U.S. WARCHILD TOUR T Shirt. 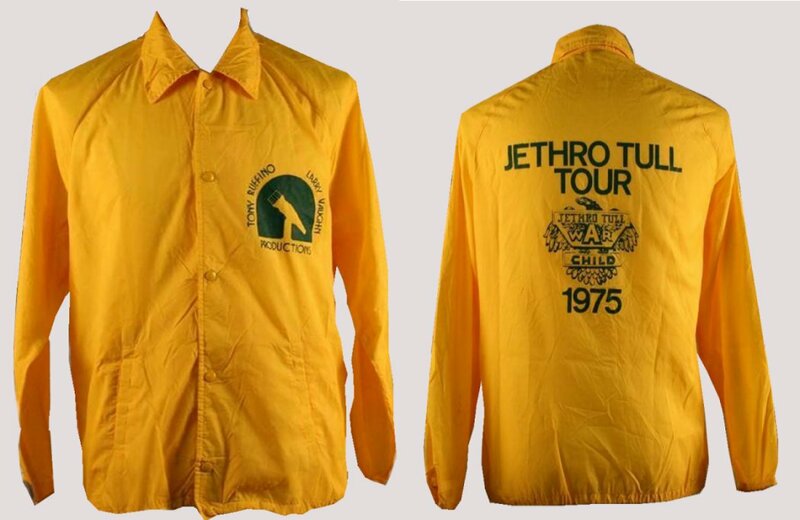 1975 1975 U.S. WARCHILD TOUR CREW Shirt. 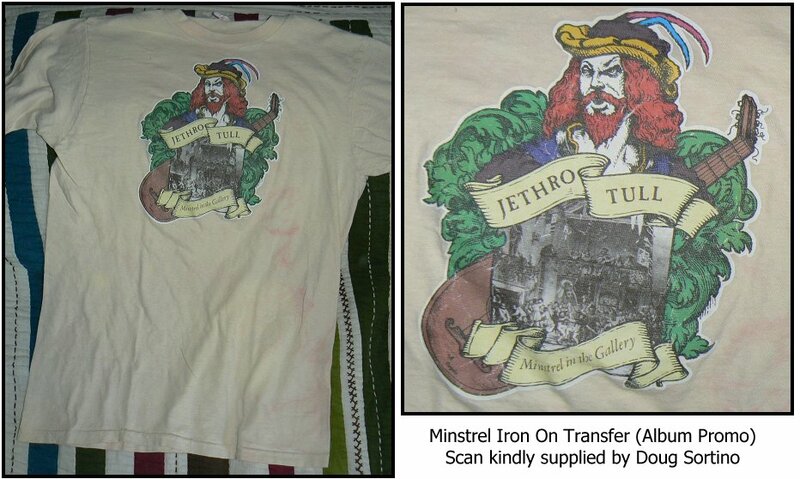 1975 1975 Minstrel "Iron On" picture on a more modern T Shirt. 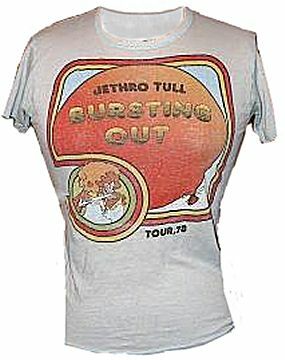 1977 U.K. 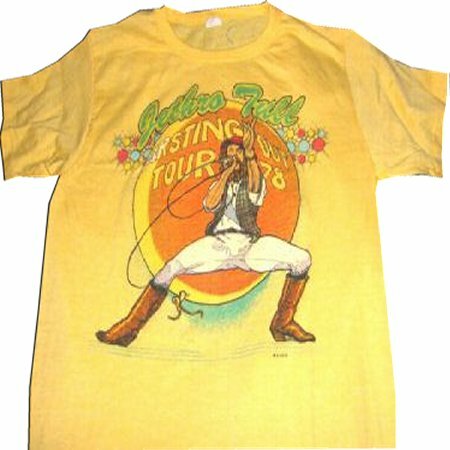 SONGS FROM THE WOOD TOUR. 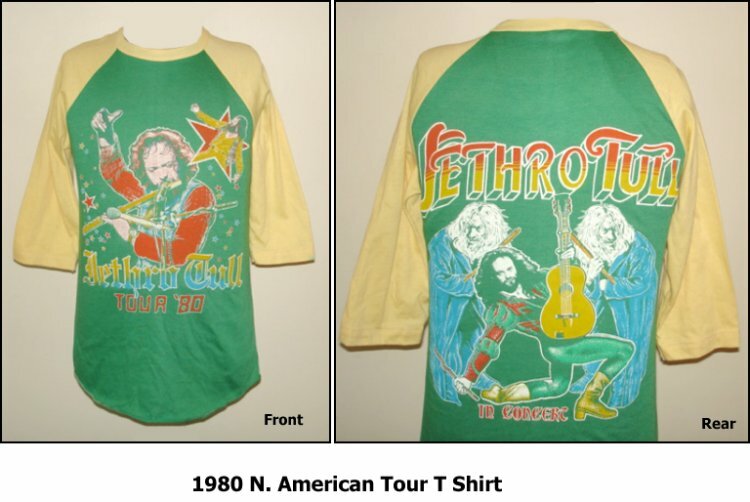 1977 U.S.A. 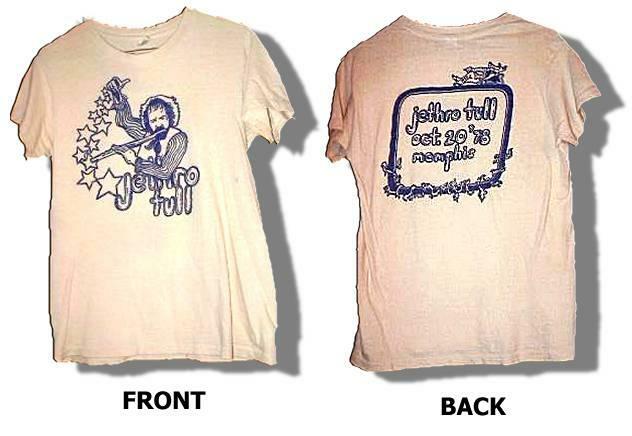 SONGS FROM THE WOOD TOUR. 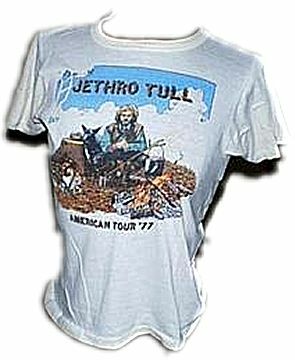 1977 U.S.A. Unofficial Songs from The Wood Shirt. 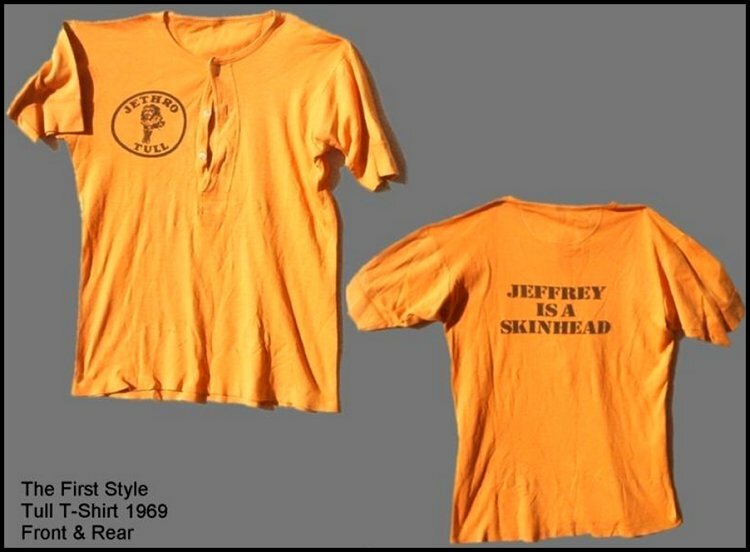 1978 U.S.A. Memphis TN. 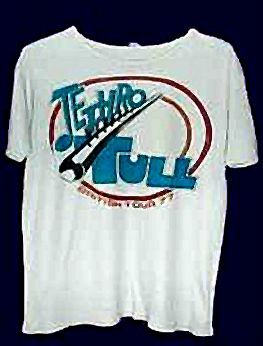 T shirt. 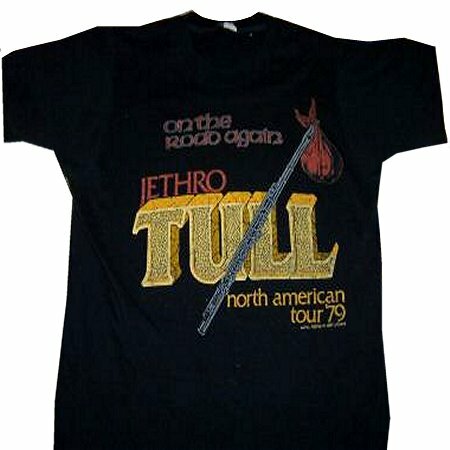 1978 U.S.A. 1978 Tour. 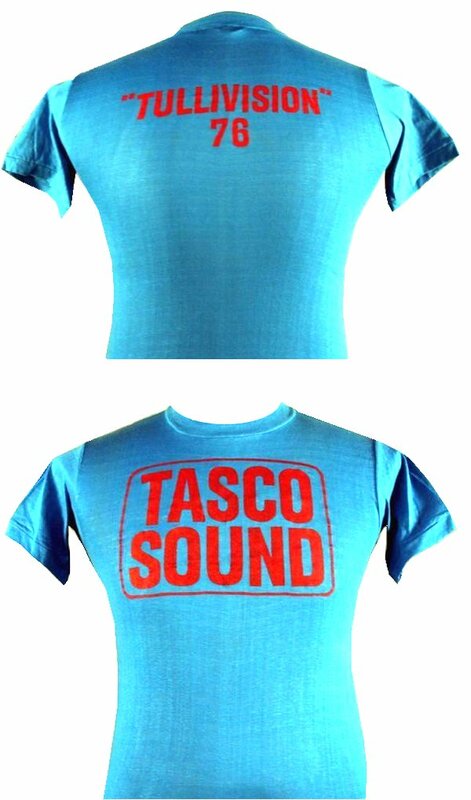 T shirt. 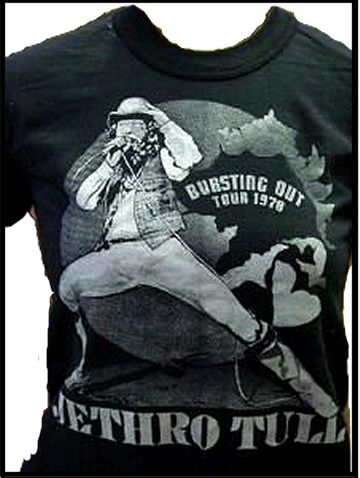 1978 U.S.A. BURSTING OUT TOUR Balloon picture T shirt (Diff). 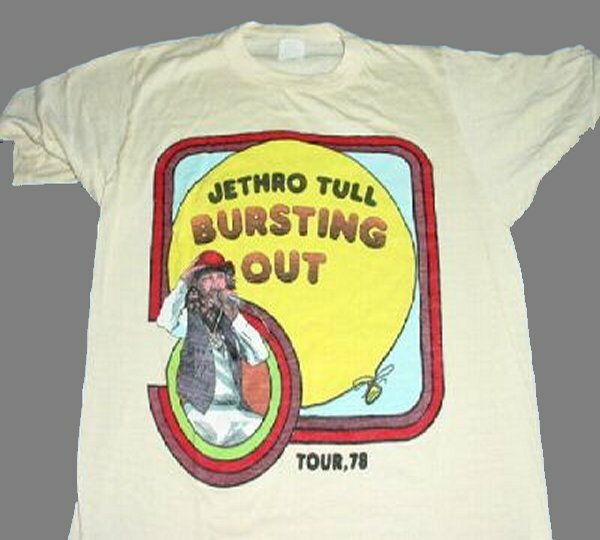 1978 U.S.A. BURSTING OUT TOUR T shirt AQUALUNG front Logo. 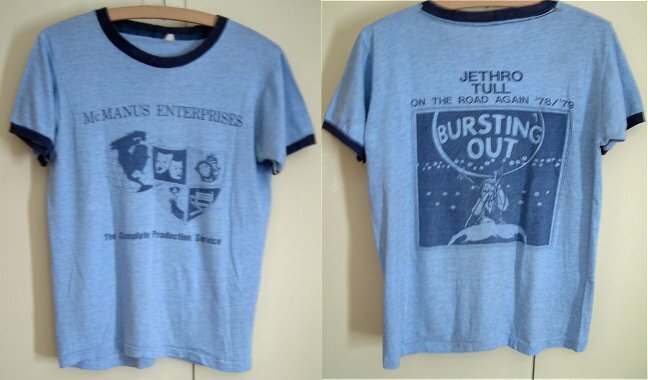 McManus enterprises on front/On The Road Again/Bursting Out On Back. 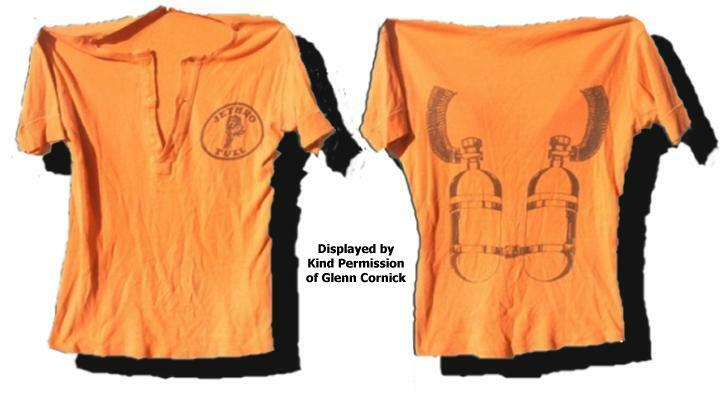 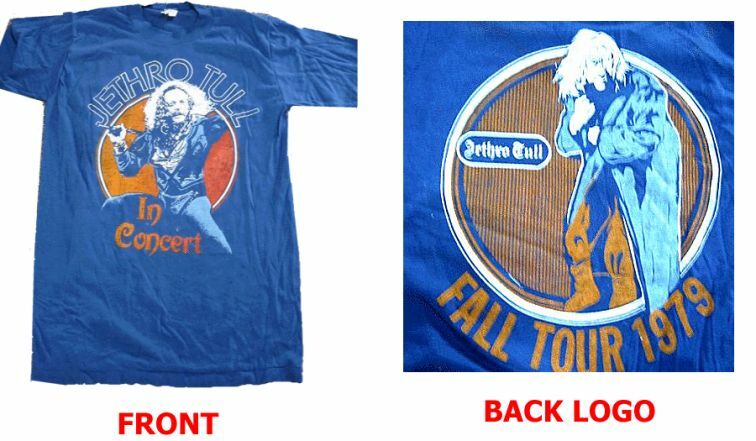 1979 U.S.A. 1979 Fall Tour T Shirt (1). 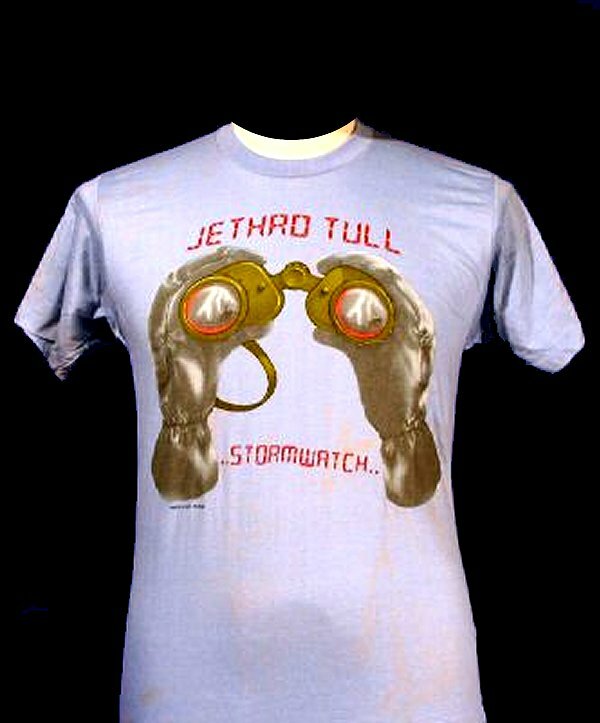 1979 U.S.A. 1979 Stormwatch Tour PROMO T Shirt. 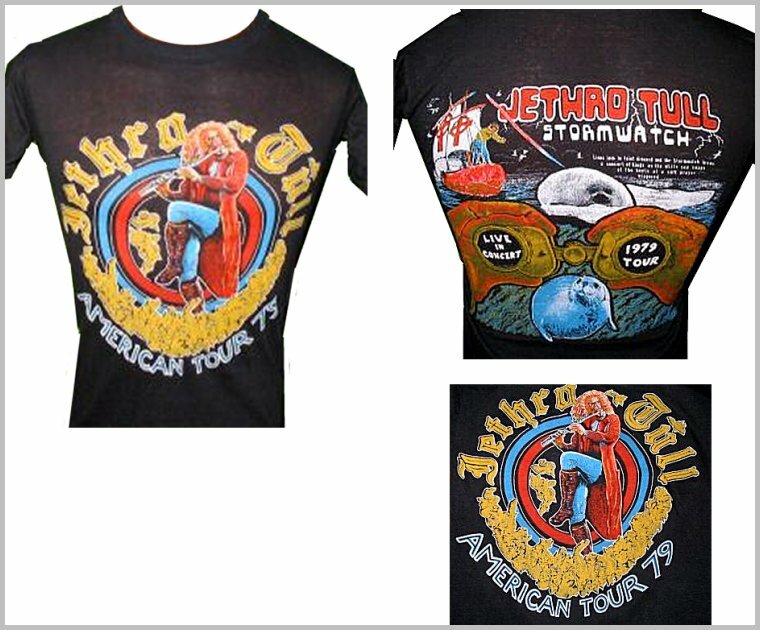 1979 U.S.A. 1979 Stormwatch Fall Tour T Shirt (2). 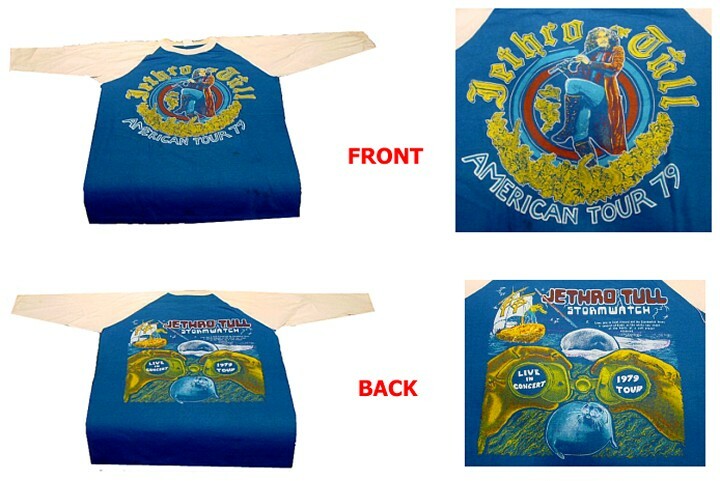 1979 U.S.A. 1979 Stormwatch Fall Tour T Shirt (3) Blue & White Long Sleeved. 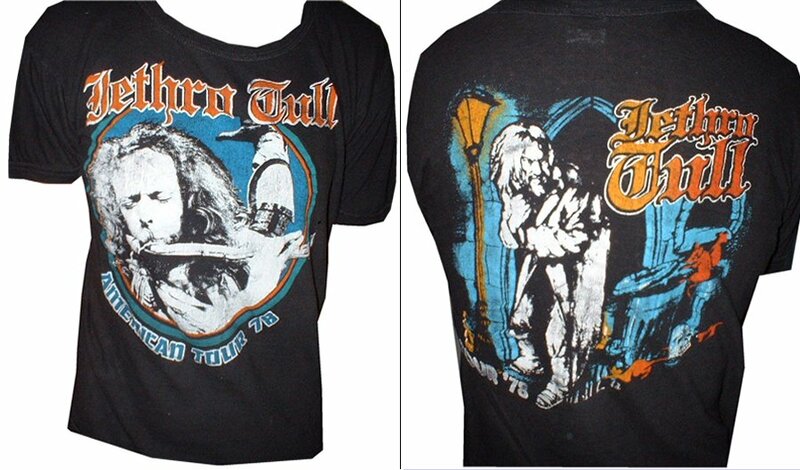 1979 U.S.A. 1979 Stormwatch Fall Tour T Shirt (3A) Black Short Sleeved. 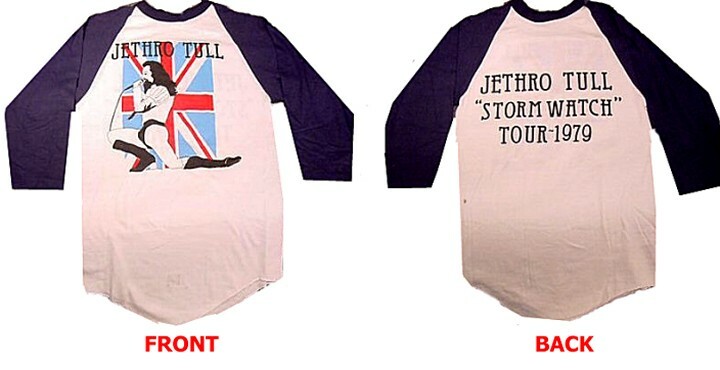 1979 U.S.A. 1979 Stormwatch Tour T Shirt (4) Long Sleeved.